Are you strongly with Cardiovascular Disease? This post will help you simple way to overcome such diseases when you start eating some of most overlook plants seeds. Cardiovascular disease generally refers to conditions that involve narrowed or blocked blood vessels that can lead to a heart attack, chest pain (angina) or stroke. Other heart conditions, such as those that affect your heart’s muscle, valves or rhythm, also are considered forms of heart disease. Black raspberry (Rubus occidentalis) has long been used in traditional alternative medicine in Korea because of its potential to improve vascular function. An extract found in black raspberries can significantly lower arterial stiffness, a key measure of cardiovascular disease, according to data from a Korean study. Previous research has shows that Black raspberries are highly effective in preventing colorectal tumors and esophageal cancer. Current findings establish a link between the consumption of this fruit and circulating endothelial progenitor cells (EPCs), which help repair and regenerate damaged arteries. Arterial stiffness is considered a key indicator of metabolic syndrome, a cluster of cardiovascular (CV) risk factors, especially in obese and insulin-resistant patients. Researchers from Korea University Anam Hospital (Seoul) and Gochang Black Raspberry Research Institute (Korea) carried out the trial. 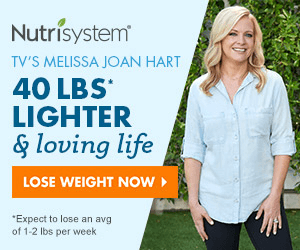 The results of a randomised controlled trial saw two groups of patients with metabolic syndrome receive either 750 mg/day of black raspberry extract or a placebo for 12 weeks. Here, blood pressure, degree of vascular stiffness, circulating number of EPCs and various markers of inflammation were recorded at the start of the study and at a 12-week follow-up. The team of researchers from Korea University Anam Hospital and Gochang Black Raspberry Research Institute in South Korea found vascular stiffness values were significantly decreased in the black raspberry group compared to the placebo group (–5% vs. 3%). In addition, EPCs at the 12-week follow-up were significantly higher in the black raspberry group compared to the placebo group (19 microlitres vs. –28micro-L). Indicators of inflammation, such as interleukin-6 (IL-6) and tumour necrosis factor-alpha (TNF), were significantly greater in the black raspberry group compared to the placebo group (–0.5 picogram per millilitre vs. –0.1 pg/ml, and –5.4 pg/ml vs. –0.8 pg/ml, respectively). Adiponectin levels, a hormone involved in regulating metabolic processes, were significantly higher in the black raspberry group when compared to the baseline (2.9 micro-g/ml vs.– 0.2 micro-g/ml). The health benefits of anthocyanidins such as those found in purple potatoes and its derivatives have been well-documented and add to an ever growing body of science to support the potential heart health benefits of black raspberries, with the bioactives proposed to be anthocyanins, flavonols, resveratrol, ellagitannin and tannins. 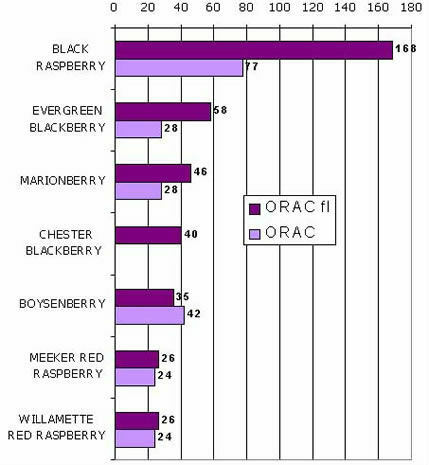 Antioxidant compounds of black raspberry, in particular are effective in reducing blood pressure. Black raspberry has long been used in traditional alternative medicine in Korea because of its potential to improve vascular function. These components have already been well-documented for their anti-inflammatory, antioxidative and anti-atherosclerotic effects. Studies have shown antioxidant compounds of black raspberry, in particular as especially effective in reducing blood pressure and improving arterial stiffness. Some studies have demonstrated black raspberries improve blood pressure, lipid profiles and vascular function. The researchers pointed towards the fruit’s flavonoid content as primarily responsible for the improvement of vascular function in the subjects. Flavonoids are known to increase bioavailability of nitric oxide (NO) and the enzyme endothelial nitric oxide synthase (eNOS), two known factors that contribute to the relaxation of coronary arteries. Anthocyanins too were highlighted as factors that possess an anti-inflammatory and antioxidant capacity, further improving vascular function by up-regulating NO and eNOS. Meanwhile, the researchers hypothesised that the degree of vascular stiffness was lessened due to the increased circulating number of EPCs. EPCs are believed to home into the injury site to replicate endothelial cells and activate the endogenous repair system. “The number of circulating EPCs inversely correlates with CV risk factors, suggesting that the circulating number of EPCs is lower in patients with CV diseases,” the study noted.